Earth Day is celebrated every April 22. It is a day dedicated to environmental awareness and is a catalyst for positive change in the way we think about the stewardship of our planet. 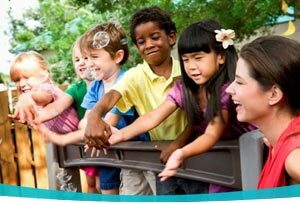 As Montessorians, we know how very important the natural world is to the education of the child, how precious our beautiful home is, and how we can all make a difference in the preservation of nature. 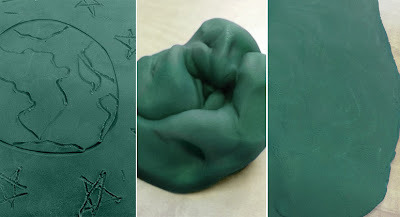 This Earth Day, try making your own non-toxic, easy modeling dough to cut back on packaging waste, and use it with fun activities that will help present the concept of recycling to your class. We have included a great step-by-step recipe and a complimentary printable for you to use with your Earth Day activities. One of the easiest ways to make your life a little greener is to make items you normally buy yourself. You can save money and reduce waste, while eliminating chemicals and bulky packaging that can harm the environment and our own health. Making your own modeling dough is very simple, and can be done with items you likely already have! Here is a tried and true, excellent recipe for colorful dough that can be kept in a mason jar or a Tupperware container on your shelves. This great recipe has detailed, step-by-step instructions over at The Crafty Crow. There are two basic activities we would like to share that can be expanded into a number of creative works and curriculum areas. Download our complimentary Earth Day printable here. This printable is meant to be laminated; the stiffness of the lamination is important to the drawing activity, and since the focus of these works is Earth Day, lamination will make the materials reusable. The purpose: to understand how much paper waste we produce and how many resources we can save by enjoying creativity and always recycling. Roll out the modeling dough into a flat sheet, like a piece of paper. Using the laminated paint bushes from the printable, the child can draw, stamp, and manipulate the surface of the dough to make a picture. The flexibility of the paint brush cutouts and the thin edges will develop fine motor control as children explore the different ways to use the laminated tools. Once the 'paper' is full, ask the child that since he cannot draw any more, should he throw the dough away? Invite him to carefully ball up the dough and roll it out flat again, and explain that this is what happens when we take the time to recycle. We save perfectly good materials and can make more that are as good as new! 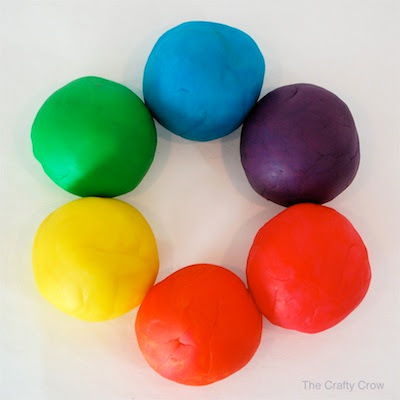 Discuss how using modeling dough as paper can reduce the amount of paper a classroom uses each day. 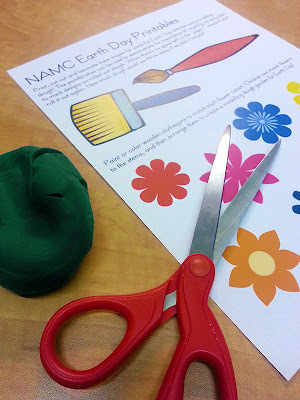 There are a number of ways to use the complimentary printable to create a beautiful Earth Day activity that will help develop a variety of skills. Just as real plants grow each season, these gardens can be created again and again! Clothespins and modeling dough are so much fun to use together! Students will love pinching and experimenting with the pins in the dough. Paint eight clothespins green, like stems, and paint just the tips in colors to match each individual flower from the printable. 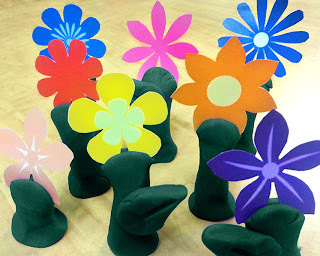 Invite children to clip the stems to their matching flowers, and arrange them in a modeling dough garden. 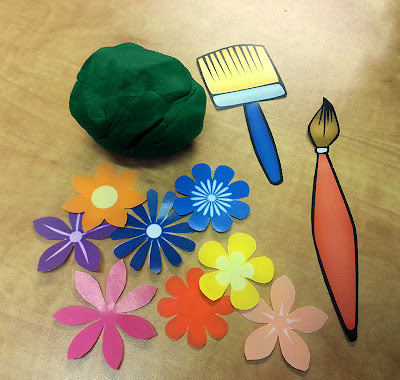 For an exercise in unbridled creativity, present the flowers and the dough together and invite the children to create a unique Earth Day garden. They may create stems from the dough, embed the flowers in a sculpture, or find any number of creative ways to use the materials. Punch a hole punch in one petal of each of the laminated paper flowers. Provide the children with green chenille sticks to use as stems, and invite the children to arrange the flowers in their modeling dough garden. Ask the children to untwist the chenille sticks after they are finished, so that they may be recycled for another use of the activity. You can also used colored chenille sticks to introduce an element of matching. We would love to see your Earth Day gardens and modeling dough paintings. 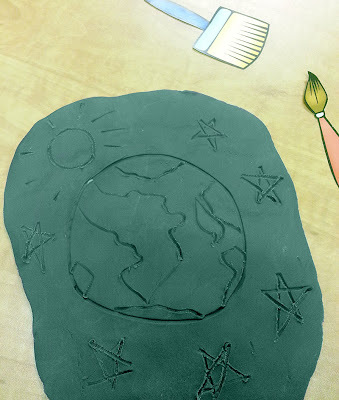 Are you planning any special Earth Day activities in your Montessori classroom? Please share them with us! Go to http://www.earthday.org/ for more information on Earth Day and celebrations around the world. 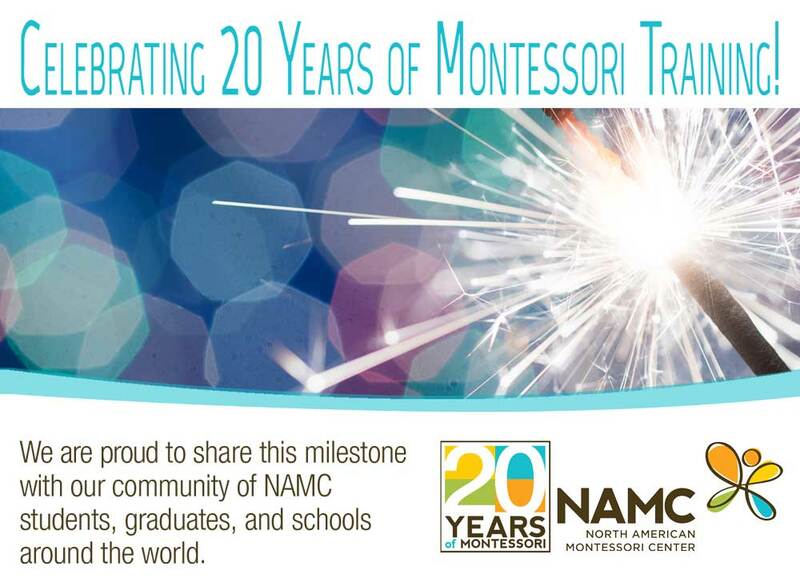 © North American Montessori Center - originally posted in its entirety at Montessori Teacher Training on Friday, April 19, 2013.